Finding the right keywords can make all the difference to whether your website is found by search engines and potential customers. But how do you know what keywords to use? We’ve put together a beginner’s guide to keyword research – this should give you a good starting point for creating customer-focused content that search engines love too. As with any copy, the content of your website should be driven by an understanding of who your customers are and meeting their needs. How can you help them? How can you solve a problem or make their life better in some way? Your website needs to show this by focusing on the benefits of your products or services, rather than the features of your business. Google wants to know that when it delivers search engine results pages (SERPs), it’s giving the searcher the most relevant, informative and high quality results possible. Brainstorm the words that you think your customers will use to find your products or services, jotting down anything that feels relevant. Try to look at every page of your website with a single search intent. What would a customer search for to find that page? Have a look at your social media pages. What questions do your customers ask? Are there specific words they use to describe what you sell that are different to how businesses in your industry talk? At this stage, no idea is too ‘out there’ – just make a note of them all. What is the purpose of your website, e.g. do you want to generate sales in your online store or get people to book an appointment to see you? What are the benefits of your products and services? How can you demonstrate your experience and authority? Are there clear calls to action? Does the information on the page keep the customer in mind? If they were searching for the answer to a specific query, would the page help them? Make a note of words that crop up time and again on your website. When you write with the customer is mind, it’s normal for your keywords and phrases to crop up naturally. Remember, you may need to hypothesise about which keywords people might use at this initial stage, especially if yours is a start-up business with no website traffic data to draw on. SEO is an ongoing process, not something you do once and forget, so it’s highly likely you’ll need to test your ideas, monitor the resulting data and adapt according to your findings. Take one page of your website at a time to think in more depth about the focus keyword or long-tail phrase for that page. What is the page about? What would be the single focus of the most common search? If someone entered a specific word or long-tail phrase in Google, would they be happy with the result? Would your web page give them exactly what they were looking for? Next, type the focus keyword or phrase into Google for yourself. What results do you get? Have the SERPs brought up products, services and companies similar to your own or are the results irrelevant to your offering? If the results don’t feel relevant, you may be off target with your current choice of keyword or phrase. It’s also worth noting whether there are lots of adverts on page one of the search results, as this can suggest that you’ve landed on a popular and competitive keyword. Quick tip: To make sure that you see a SERP that isn’t influenced by your previous search history, you could try running your search using Google Chrome’s Incognito tool. Incognito doesn’t save cookies or your browsing history, so you should be able to run a search without Google knowing anything about your search history, favourite websites or location. Although we’d always caution against getting too bogged down by what your competitors are doing, it can be helpful to conduct some competitors’ keyword research to understand what keywords they’ve chosen to target for products and services similar to your own. You can easily conduct some keyword research using a free tool like Browseo. 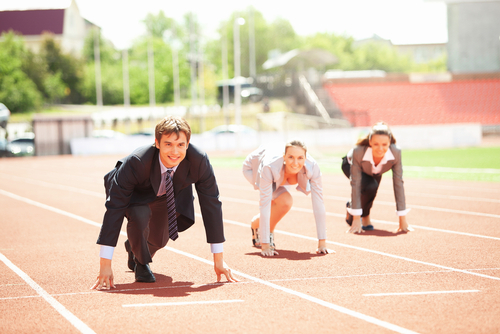 Simply pop a competitor’s web address in the Browseo search bar to see their website as the search engines see it. This will give you information about the meta data, heading tags, alt tags, internal and external links, and more. You can also view this information by right clicking on any web page and selecting the ‘View page source’ option or by inspecting the individual on-page elements. If you already have a website and have installed Google Analytics and set up Google Webmaster Tools, then you have a goldmine of information at your disposal. Google Analytics doesn’t give as much keyword data as it used to, although you can still look at data for some of the organic searches that have led to your site. We much prefer Google Webmaster Tools. Simply click on Search Traffic>Search Queries for a comprehensive insight into how many times your website has shown up in SERPs for specific keywords, how many people have clicked through to your site, the clickthrough rate, your average ranking position and whether this has gone up or down over the past 30 days. From this information, you should get some hard data to support which keywords would perform well if you used them more often on your website and which would perform poorly. The clickthrough rate is important because it shows the percentage of people who see your site in SERPs and actually click on the link to find out more. You can have low traffic for a page but a high clickthrough, meaning that nearly every impression converts to a visitor. The chances are that this represents highly relevant, targeted traffic. From the above steps, you should have a strong list of potential words and phrases that customers will be using to find your website. The Google Keyword Planner is a fantastic free tool that will give you some insight into the typical search volumes and competition from other businesses that each word or phrase attracts. One word of caution is that the data provided by the Google Keyword Planner relates to paid Google ads rather than definitive data about organic searches but it’s a good barometer to how a keyword will perform. In our next keyword-focused blog we’ll be looking at the Google Keyword Planner in more detail. The important thing to remember is that you’re looking for keywords or long-tail phrases that have medium to high volumes of monthly traffic but low competition as it will be easily to secure a higher ranking for these keywords. You can also look at how keywords have performed over the past 12 months – are they trending upwards or is their popularity on the downturn? Follow these action points and you should have a really solid foundation on which to build your ongoing SEO efforts. I’d love to know what you think so, please leave your comments and questions below. And if you’ve found this blog useful, please share on your social circles – thank you. If you’re updating or creating a new website or you want to make it more visible on search engine results pages (SERPs), you may be confused about keywords. Do they still matter? What should they be and how should you use them to get the best results? You’ve probably read a lot of conflicting advice about using keywords post-Google Hummingbird. Some people say they are still the lifeblood of SEO, while others say they don’t matter a jot. The reality falls somewhere in the middle. Thankfully, we SEO experts have moved on from the keyword stuffing of the noughties when securing the Google top spot was just a matter of cramming as many uses of your chosen keywords into the copy as possible. It worked for search engines but made lousy reading for potential customers. These days, the search engines are much more focused on providing a high quality experience to end users. They want to know that searchers are being directed to the most relevant and well thought out sites for their needs. But how do they do this? Keywords are one way of deciphering the on-page content. Although Google and the other major search engines no longer use keyword tags as a ranking factor, they do still look to over 200 different on- and off-page signals to work out what a web page is about and decide whether it’s relevant to an individual search. If you use your focus keywords or phrase in important places, such as your SEO title, main H1 heading, sub headings, opening paragraph and others, then the search engines will make an educated guess that these words reflect the main topic covered by the page and will be most relevant to your customers. Google Hummingbird was big news because this algorithm update improved Google’s understanding of semantic searches – in other words, the search engine was better able to identify words that mean the same thing as your keywords, returning those in SERPs too. It enabled content writers to write more freely and to leave keyword densities behind in favour of natural, engaging copy. That being said, visitors to your website will thank you for putting your keywords in certain prominent positions. This is because of how we read online. Eye tracking studies and heat maps show that people tend to read from the top left to right of a web page, then skim down the left hand side, reading from left to right midway down the page and sometimes at the bottom of the page too. In other words, following the pattern of a capital F or E. They will look within these ‘hot’ zones on the page for the words they used to search. 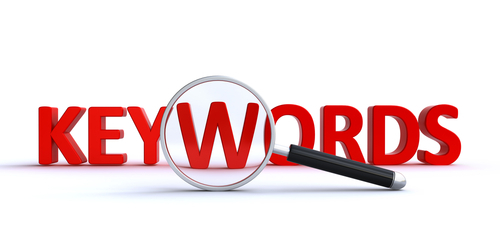 If they can’t find the keywords they’re looking for, they may not read deeper into the page. But what keywords should you use? In deciding what keywords to use on your website, it’s essential to understand the language that your potential and existing customers will use to search for your services online. They may not use the same words you would use. A good example of this is teeth straightening. Dentists often talk about ‘orthodontics’ whereas potential patients are more than seven times more likely to search for ‘braces’ if they’re looking for a tooth straightening treatment. The dentists who understand this and who use this language on their websites are far more likely to be found in searches than those just promoting orthodontics. Instead of trying to incorporate lots of different keywords, it’s best to create each page of your website with a single search purpose in mind. In other words, what is the main topic of the page? What will people be looking for when your page shows up in SERPs? As we’ve mentioned, keywords show the purpose of a web page to visitors and to search engines. Once you understand your customers, what they need and how each page of your website meets that need, you’ll find that your keywords and related phrases will appear naturally in your copy. Once the first draft is written, you just need to go back and check whether you’ve used your keywords in strategic places such as your SEO title, meta description, H1 heading, sub headings, alt tags, URL and opening paragraph. 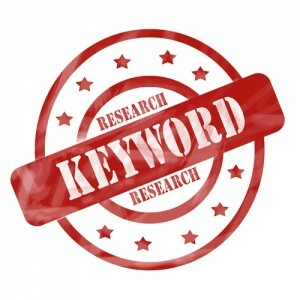 One decision you will need to make about keywords is whether to use broad, fairly generic keywords or long-tail keywords. 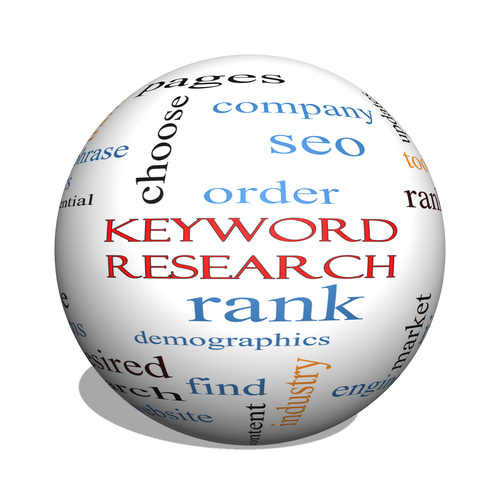 Broad keywords are a single word or phrase that broadly describes your products, services, business or industry. For example, broad keywords might be ‘search engine optimisation’, ‘copywriting’, ‘property’ or ‘beauty’. Yes, these words probably attract a lot of searches but they are so generic that SERPs are likely to turn up a lot of irrelevant websites before the searcher finds what they’re looking for. Long-tail keywords, on the other hand, are much more descriptive and relevant to your website and the needs of your potential customers. They may not attract the high volume of searches associated with broad keywords but the chances are that the traffic they do attract will be people actively looking for what you offer. A person wants to rent a three-bedroom house in Brighton. They want a garden and have a pet cat, so it’s important to rent through a landlord who allows pets. A broad search for ‘house to rent’ in Google brings up over 996 million search results. Scouring through the first few pages shows that none of these listings are for houses in Brighton. Property management companies or pet-friendly landlords in Brighton would have a real challenge to be found in the SERPs. But what happens if we add a bit more detail to our search by looking for ‘houses to rent in Brighton’? The results are narrowed down to nearer 20 million listings and the first few pages of SERPs are much more relevant. When we make our search even more specific – ‘3 bedroom house to rent in Brighton’ –, Google returns approximately 13 million results, removing nearly seven million web pages from the competition. Add more detail yet – ‘pet friendly 3 bedroom house to rent in brighton’ – and the results come down to just under five million. We could even add in the need for a garden to our search – ‘pet friendly 3 bedroom house with garden to rent in brighton’ – and suddenly the returned results are down to just over one million. The great news for the searcher is that all the results on the first few SERPs are highly relevant and even include a company called ‘Pet friendly rentals’. The great news for the websites that show up in this search is that the people who click through to read the property listing are going to be very interested in renting. While the volume of traffic might be lower, the quality is likely to lead to more conversions and sales. It’s also likely that you will be up against far less competition from other websites for long-tail keywords, meaning that it is easier to secure a higher ranking and better visibility. Are you using long-tail keywords on your website? Has it made a difference to your traffic? I’d love to know what you think so, please leave your comments and questions below. And if you’ve found this blog useful, please share on your social circles – thank you. In the next of our keyword focused blogs, we’ll be bringing you a beginner’s guide to keyword research.